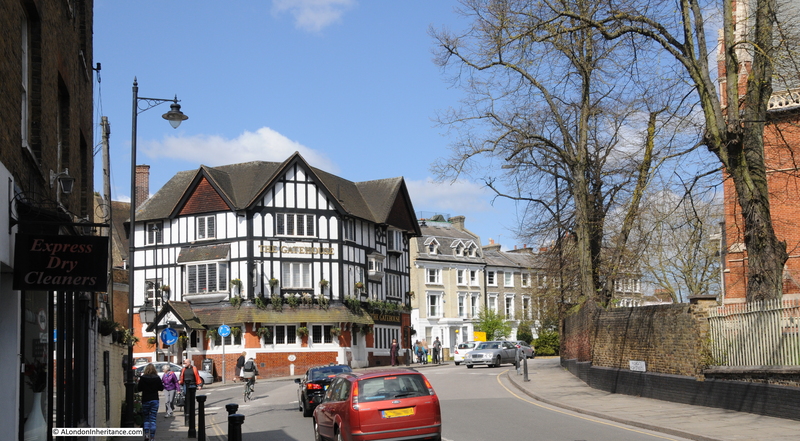 Highgate has been high on my list to visit as some of my father’s photos from 1948 are of the pubs and buildings around the centre of Highgate and with the recent good weather, a destination with a pub seemed perfect. Highgate is probably better known for the cemetery of the same name, however the village at the top of the hill is well worth a visit to view some of the architecture and stop at some of the many pubs. It is really good that in the intervening 67 years there has not been too much change to the pub. 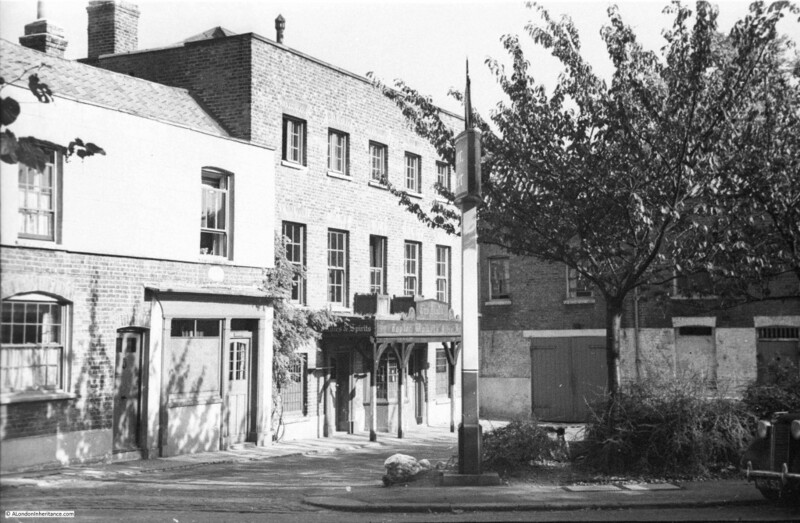 The main difference being the courtyard area in front which is now a seating area, although in the 1948 photo you can just see some tables and chairs to the right and left of the courtyard so perhaps even this has not changed that significantly. 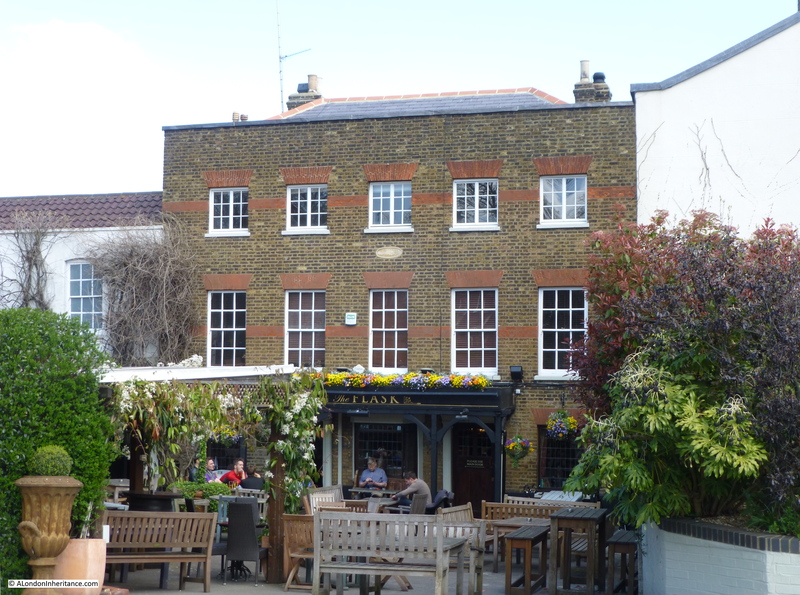 Internally, the pub has avoided the conversion to a large open space, the fate of so many other pubs. The Flask still has many small bar areas and rooms at different levels and is probably much the same as when my father visited in 1948. The name of the pub is apparently from the flasks that were sold from the pub to collect water from the local springs. Fortunately the Flask was very peaceful during my visit, and it was the perfect location to enjoy the spring sunshine. The Flask is now a Fuller’s pub. 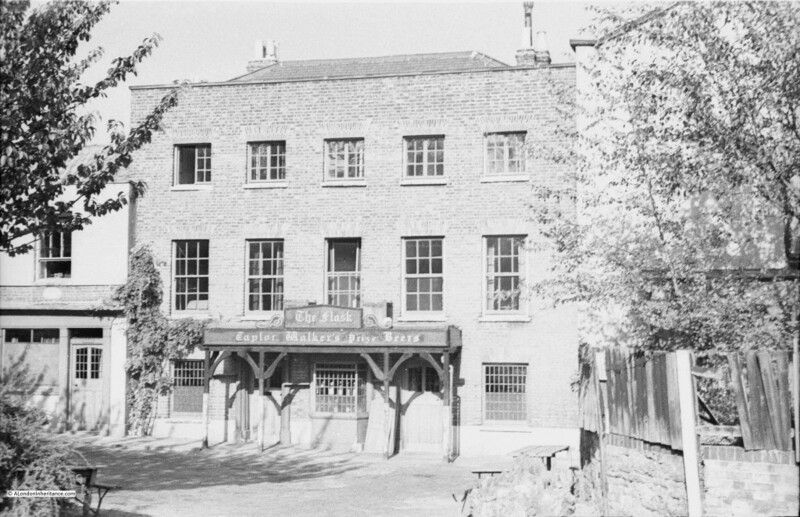 In 1948 as can be seen from the sign above the entrance it sold Taylor Walker’s Prize Beers. Taylor Walker was founded in Stepney, East London in 1739 and originally brewed beer in Limehouse. It has been through a number of changes in ownership and is now a brand owned by Spirit Pub Company. At some point since 1948, it was acquired by Fullers who still brew beer in Chiswick, West London. 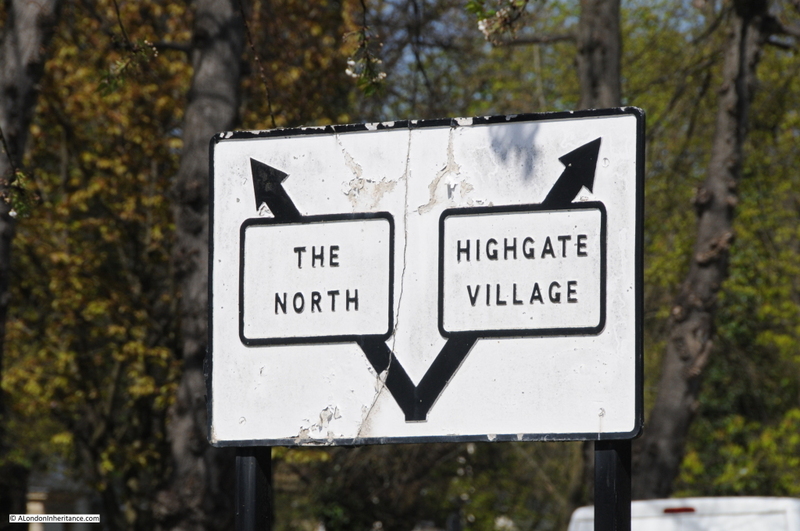 The direction sign gives the very stark choice of either entering Highgate Village or going to the North. Highgate obviously has a very low opinion of the value of visiting anywhere else in the local area. And many to the steep of Highgate hie. Ask ye, Boeotian shades, the reason why? The custom died out in the 19th century. I did not count how many are there today, but there does still seem to be a good number. In 67 years it is remarkable how little change there has been, apart from the style of cars, it is mainly cosmetic. The Gatehouse may look relatively new, however this is one of the key locations in Highgate and the Gatehouse has a long history. 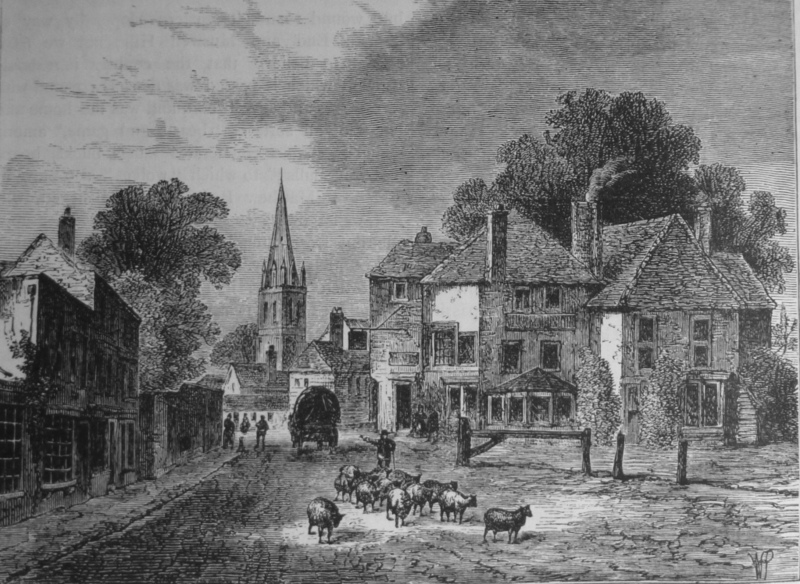 The name Highgate was first recorded in the 14th century, and refers to one of the Gates that provided access to the park, owned by the Bishop of London that stretched from Highgate, to the Spaniards pub in Hampstead and to East Finchley. 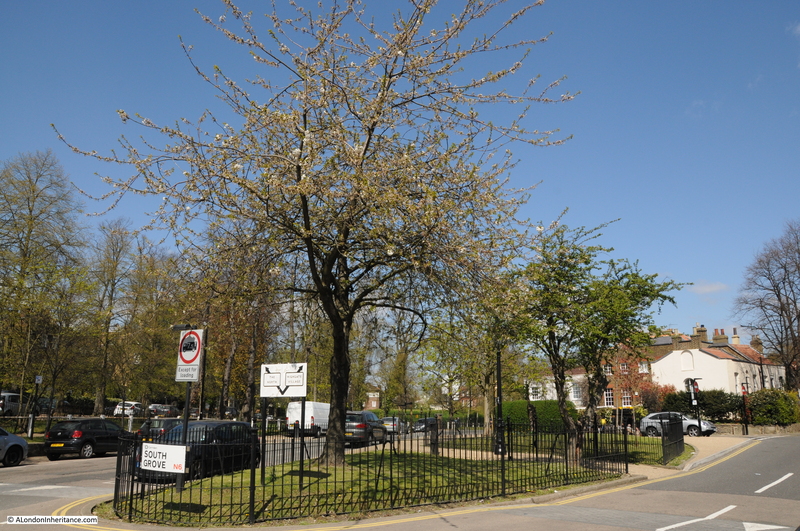 There is also a view that the name has an earlier source and is based on “haeg”, the Saxon word for a hedge, where a hedge would also have been used to fence around a park. At some point early in the 14th century, the Bishops of London had allowed a route through their parkland which due to the height of the land around Highgate, provided a more passable route in winter than the main route north through Crouch End and up to Muswell Hill. The Gate here, or Gatehouse was to collect tolls from travellers along this route and is on the site of the earliest recorded building in Highgate. The Gatehouse was split between the Parish of Hornsey and St. Pancras Parish. Being split between two parishes caused problems during some of the functions performed within the building. 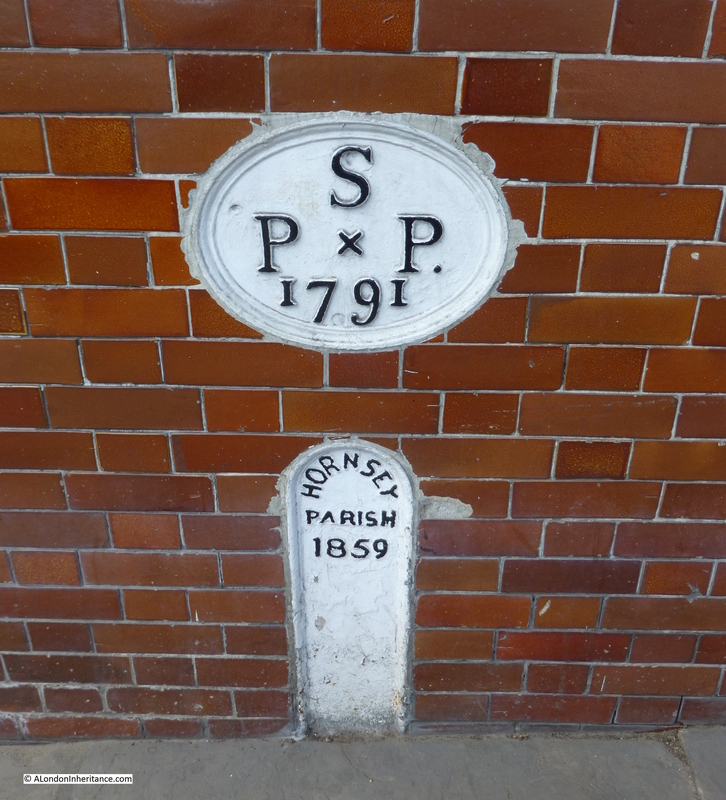 When used as a court, a rope had to be strung across the floor to divide into the two parishes and ensure that the prisoner did not escape into the other parish. 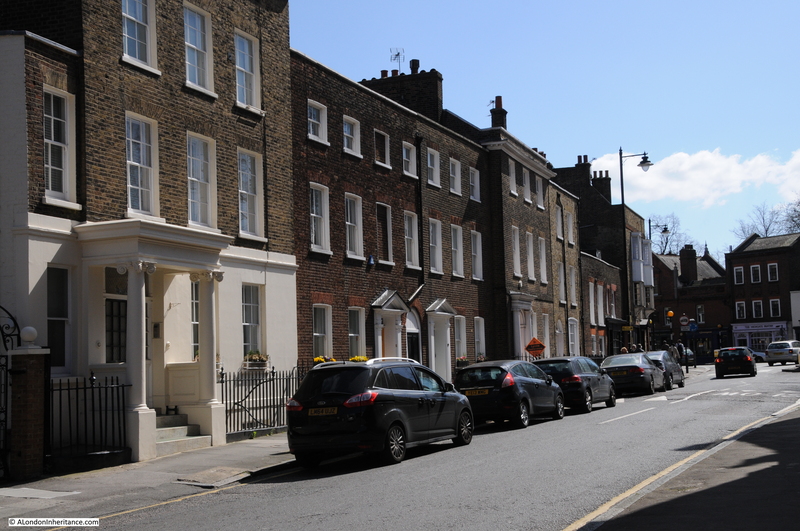 Boundary changes in 1994 took the whole of the building into the London Borough of Camden. The gates that gave the Gatehouse its name were removed in 1892 with tolls having finished a few years earlier in 1876. The location of Highgate, on hills to the north of London made it a popular location to live, close to London, but just far enough away to avoid the dense population, pollution, smoke, smells etc. of the city. 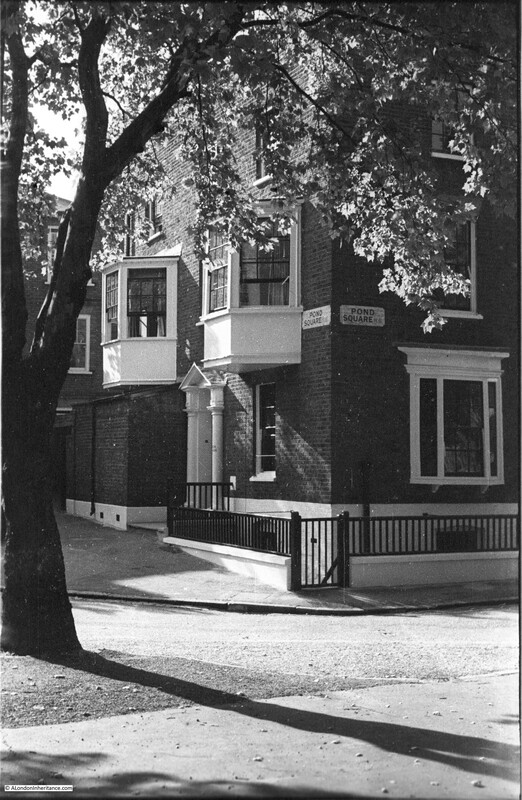 There was much development of Highgate in the 18th and 19th centuries and many of these buildings remain today. 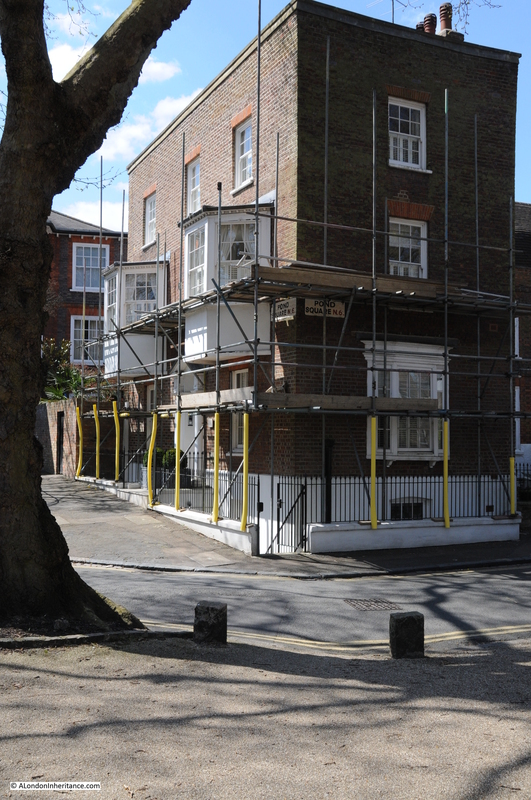 And in 2015, remove the scaffolding and the building is much the same. 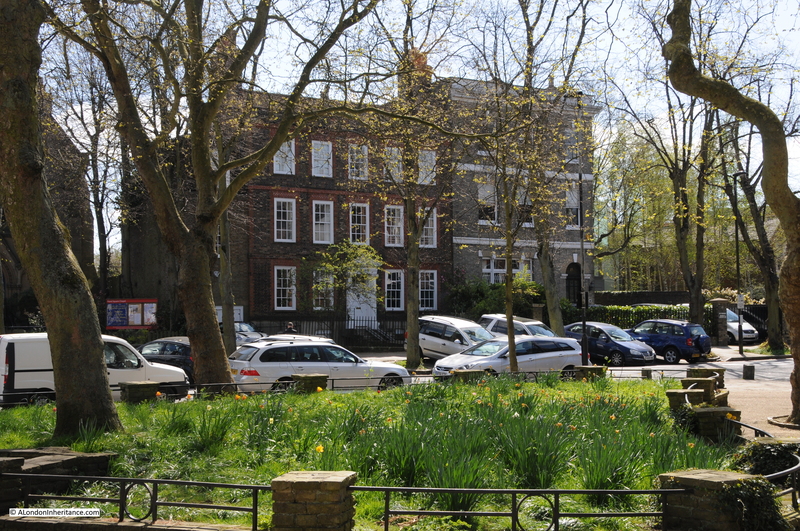 The name Pond Square comes from the ponds that were originally in the centre area of the square. The ponds were created by the digging of gravel for maintenance of the roads, however the ponds were filled in during the mid 19th century due to the poor state of the ponds and the associated risks to health (being also used as cesspools). Walking round Highgate I was really pleased to find the location of the following photo. This is one of the many that I was not sure if I would find the location. 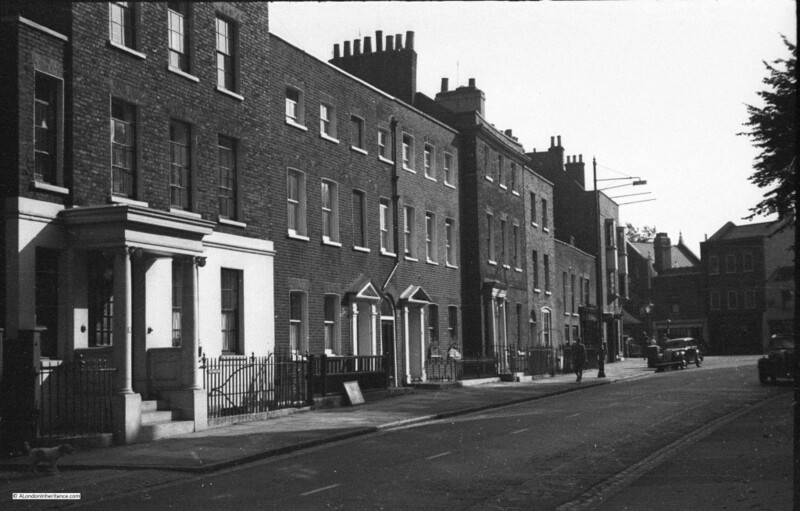 There is no information, street names, recognisable buildings etc. to identify the location of the photo. It was on a strip of negatives that had one Highgate photo but also had photos of central London. 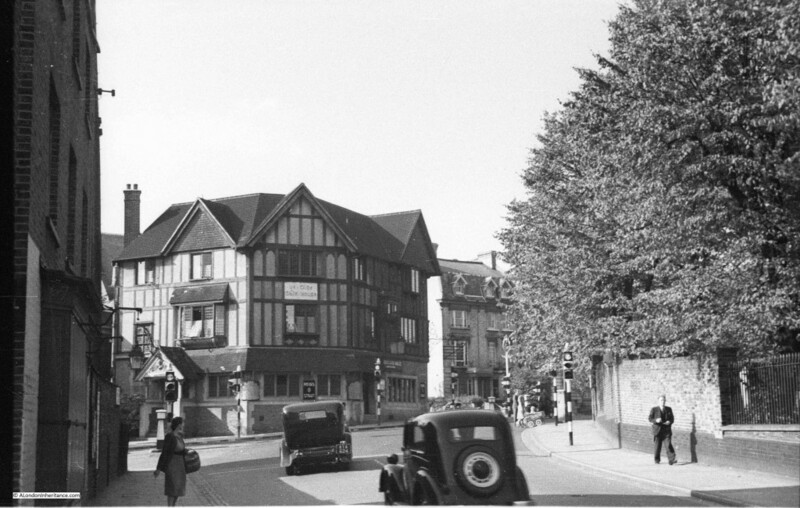 Highgate is a fascinating location to visit and as shown by the photos my father took in 1948 and my 2015 photos has changed very little. As usual, in the space of a weekly blog I have only been able to scratch the surface of the history of Highgate, but it is a location I will certainly be back to explore again. 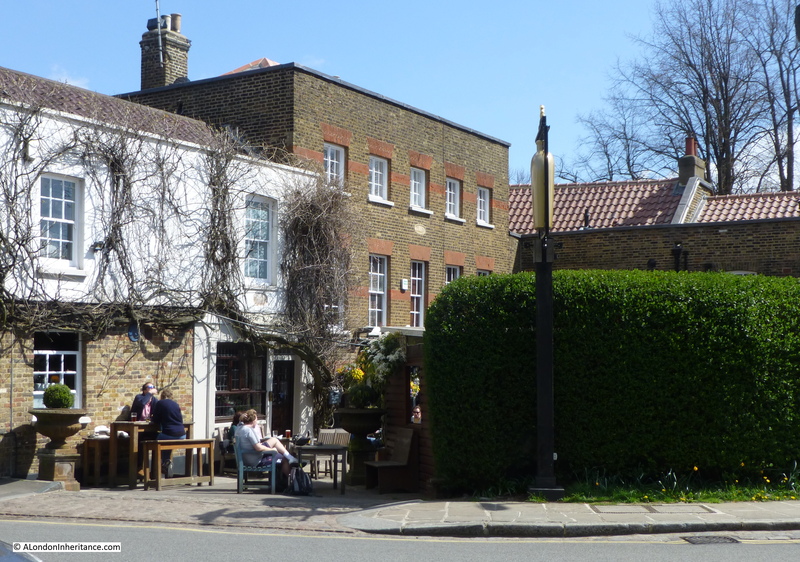 This entry was posted in London Pubs, London Villages and tagged Highgate, Pond Square, The Flask, The Gatehouse on April 19, 2015 by admin.